Mun Choon graduated with a BS in Computer and Electrical Engineering from Purdue University with highest distinction in 1990, MSEE in 1993 and Ph.D. in 1997, both from Columbia University. In Columbia, he was a member of the comet group and worked under the supervision of Prof. Aurel A. Lazar on large scale network emulation, network management and programmable network. From 1997 to 2003, he was a Member of Technical Staff in the Networking Research Laboratory, Bell Labs, Lucent Technologies. In Bell Labs, he worked on network management and wireless data transport over cellular network. His work in Bell Labs includes highly cited work on TCP/IP performance over 3G wireless links (MobiCom 2012) and a US patent on cache-based compaction technique that has more than 210 patent citations (US Patent 6,178,461). 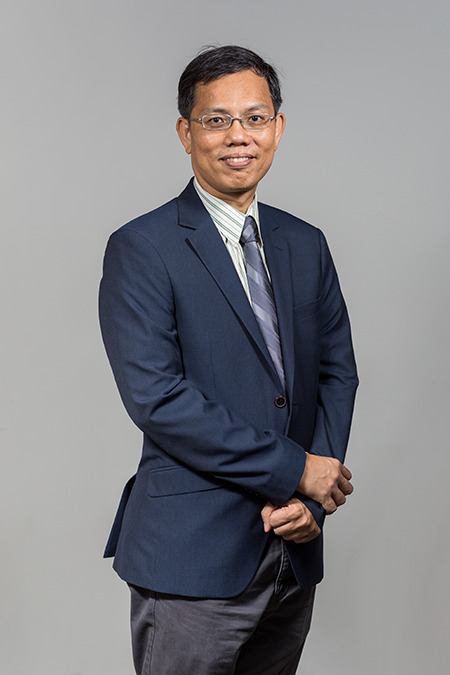 He joined NUS in 2004 and is currently an Associate Professor in the School of Computing. He is a member of the Communication and Internet Research Lab, and his research areas cover sensor network protocols, mobile sensing and software defined networking. Some highlights of his work include routing and incentive protocols for Delay Tolerant Networks (MobTorrent(INFOCOM 2009), Mobicent(INFOCOM 20100), Plankton(SECON 2013)), wireless sensor network protocols (Splash(NSDI 2013), P3(IPSN 2014), Oppcast(IPSN 2016), Codecast(IPSN 2018)), sensor network testbed (Indriya) and mobile sensing (Tone-Counting(Sensys 2012), Socialweaver(Sensys 2013), PiLoc(IPSN 2014), barometer based context detection(Sensys 2014)). He has graduated 16 PhD students, served as the Associate Editor of IEEE Transaction on Mobile Computing, published more than 100 conference/journal papers and has been awarded 7 US patents. With mobile devices becoming ubiquitous, collaborative applications have become increasingly pervasive. We look into various approaches in which these devices can leverage the available sensing, computation and communication capabilities to design collaborative applications. In particular, we are looking at how high-fidelity context awareness can be achieved with low-cost sensing and communication on resource-constrained devices and possibly with collaboration among many different devices. Research advances in Software Defined Networking (SDN) have enabled new paradigms and architectures through providing programmable capabilities to both the control and data plane. I am particularly interested in understanding how these capabilities enable new monitoring frameworks, control paradigms, virtualization strategies and speedup of large scale distributed computations. Sensor-enhanced Social Media Centre (SeSame) (http://sesame.comp.nus.edu.sg/) – My work includes WiFi based indoor localization and crowd monitoring. National Cybersecurity R&D Lab (NCL) (http://ncl.sg) – I am involved in the bare-metal provisioning of SDN testbed on NCL. NUS-Singtel Cyber Security Research and Development Lab (https://nus-singtel.nus.edu.sg/) – My project is on predictive security analytics based on traffic data. Chengwen Luo, Hande Hong and Mun Choon Chan, “PiLoc: A Self-Calibrating Participatory Indoor Localization System,” ACM/IEEE International Conference on Information Processing in Sensor Networks (IPSN), April 2014. Manjunath Doddavenkatappa, Mun Choon Chan and Ben Leong, “Splash: fast data dissemination with constructive interference in wireless sensor networks,” USENIX conference on Networked Systems Design and Implementation (NSDI), 2013. PG Kannan, SP Venkatagiri, MC Chan, AL Ananda, LS Peh, " Low Cost Crowd Counting using Audio Tones," ACM Conference on Embedded Network Sensor Systems (Sensys), 2012. Binbin Chen and Mun Choon Chan, “MobiCent: a Credit-Based Incentive System for Disruption Tolerant Network,” INFOCOM 2010. Binbin Chen and Mun Choon Chan, "MobTorrent: A Framework for Mobile Internet Access from Vehicles," IEEE Infocom 2009, Rio de Janeiro, Brazil, April 19-25, 2009. Yow-Jian Lin and Mun Choon Chan, “A Scalable Monitoring Approach based on Aggregation and Refinement'', Journal of Selected Areas in Communications, special issue on Recent advances on fundamentals of network management, Vol. 20, No. 4, May 2002. Mun Choon Chan and Thomas Woo, US Patent 6,178,461 Cache-based compaction technique for internet browsing using similar objects in client cache as reference objects, Jan 2001. Mun Choon Chan and Aurel A. Lazar, “Designing a CORBA-Based High Performance Programmable Signaling System for ATM Switching System,” Journal of Selected Areas in Communications, special issue on Service Enabling Platforms for Networked Multimedia Systems. Vol. 17, No. 9, pp. 1537-1548, Sep. 1999.